RECORDS & MERCHANDISE FOR SALE. All Prices listed DO NOT INCLUDE POSTAGE! EMAIL ME FIRST & I'll tell you how much to include for postage. If you want to use Pay Pal, please ASK ME to send you a Pay Pal invoice. THANKS! 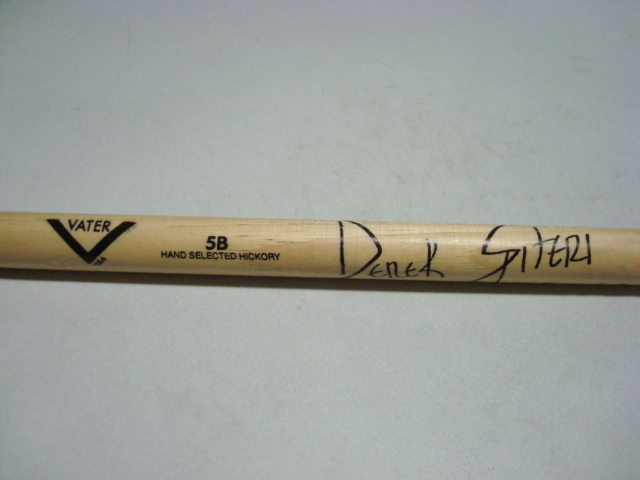 stage used Derek Spiteri OFFICIAL SIGNATURE DRUMSTICK from 2014 Tour! Stick features his signature stamped into the wood. Vater brand. 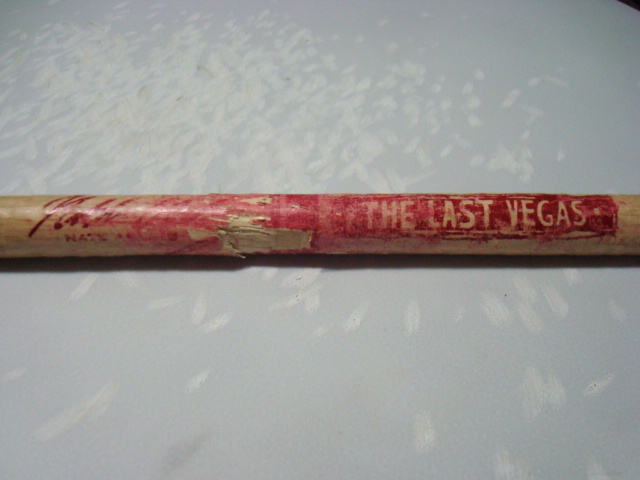 stage used Chris Vest OFFICIAL SIGNATURE DRUMSTICK from 2014 Tour! Stick features his signature & the band's logo stamped into the wood. Vater brand. 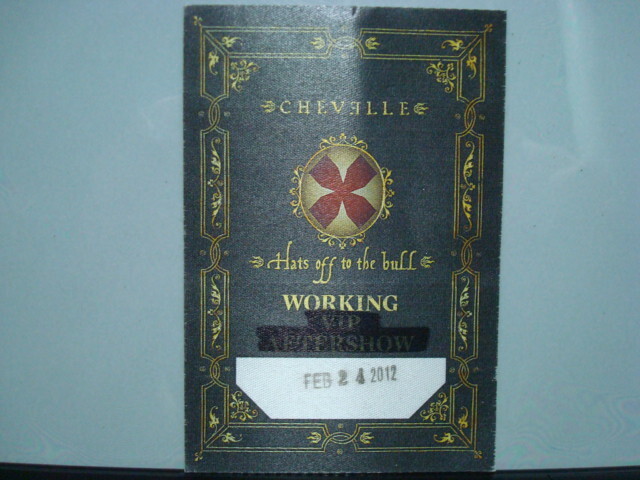 Satin Backstage Pass stick on! From the 2012 Tour. The real thing. 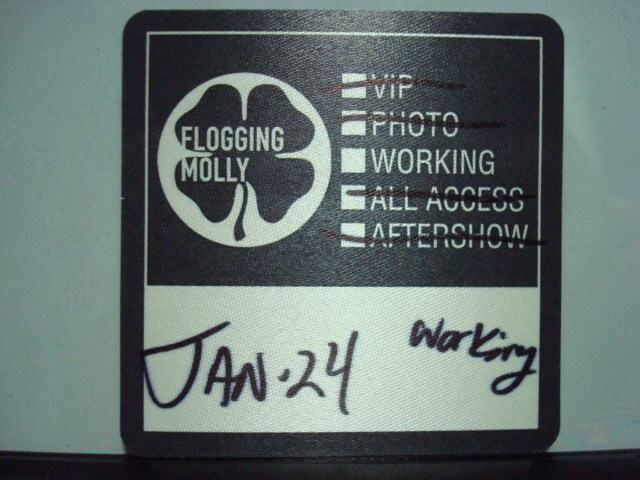 Satin Backstage Pass stick on! From the 2013 Tour. The real thing. 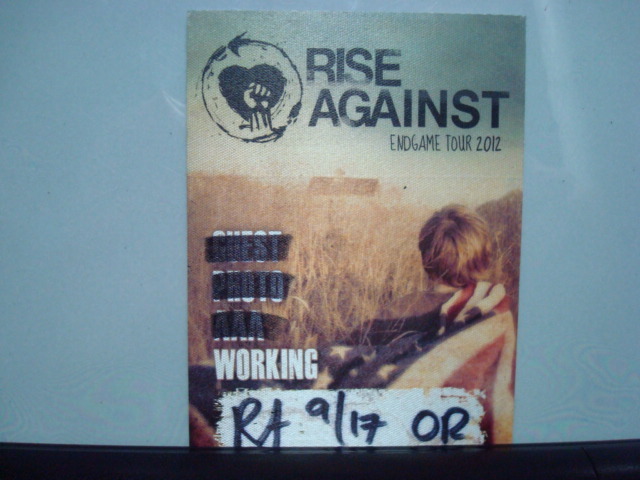 Satin Backstage Pass stick on! 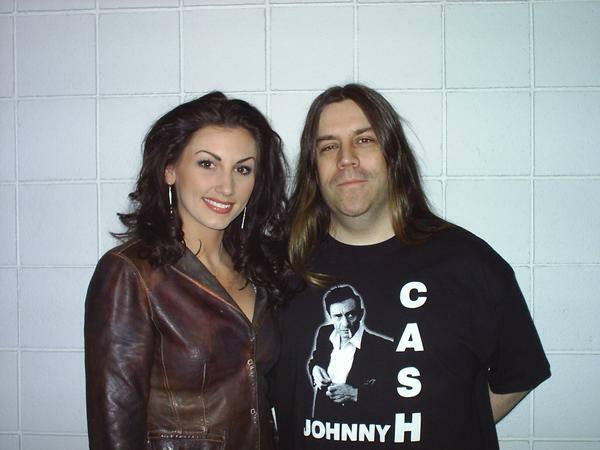 From the 2010 Tour. The real thing. 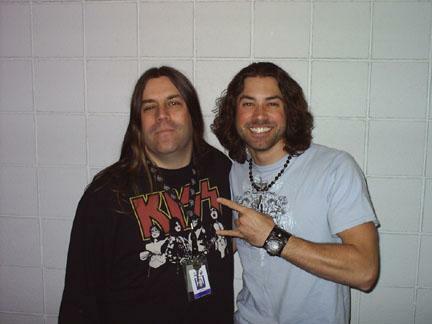 1-27-07 me with season 5 American Idol guy Ace Young! 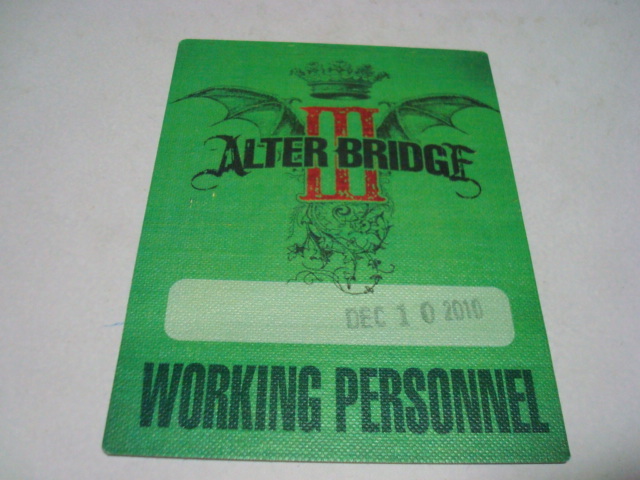 Satin Backstage Pass stick on! 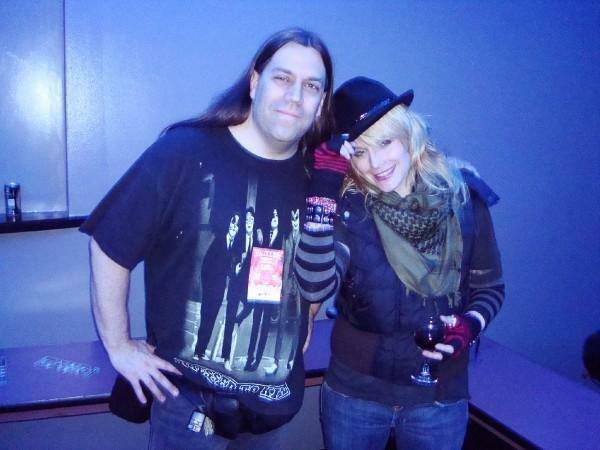 From the 2011 Tour. The real thing. Stage Used Glenn Symmonds OFFICIAL SIGNATURE DRUMSTICK from 2011 Tour! Stick features his name & the band's logo stamped on it. Pro Mark brand. 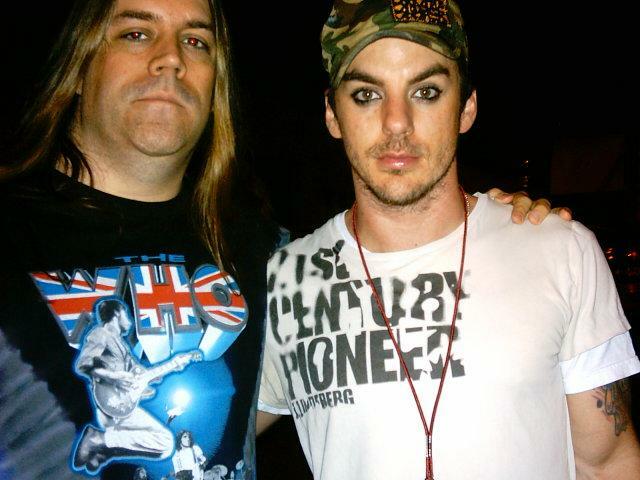 From the 2011 Grand Rapids, MI gig. 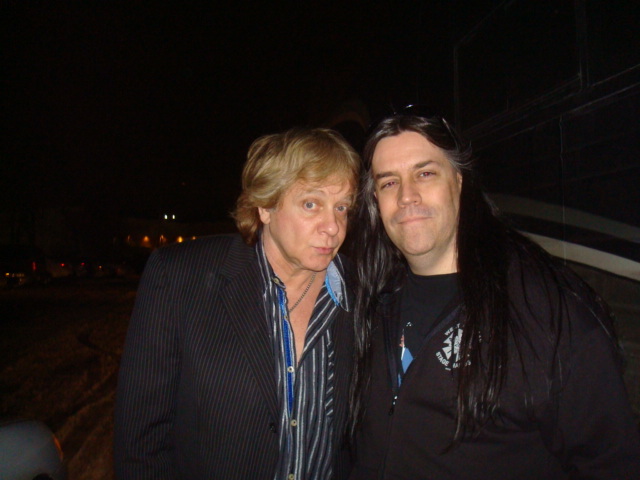 Eddie Money & Skeeter 2011. Charlie Benante OFFICIAL SIGNATURE DRUMSTICK from 2011 Tour! 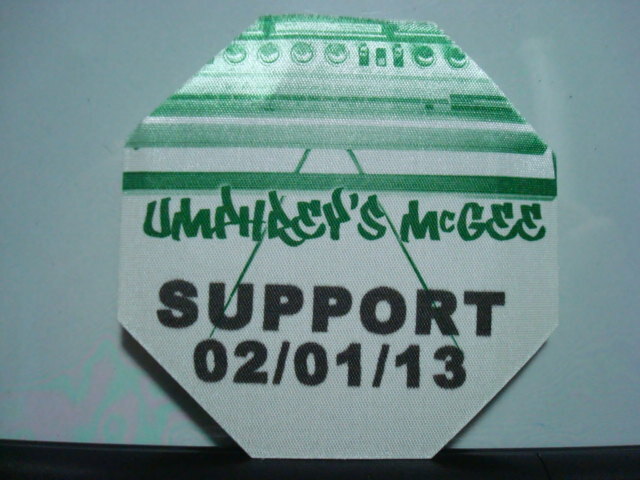 Stick features his name & the band's logo stamped on it. Vic Firth brand. 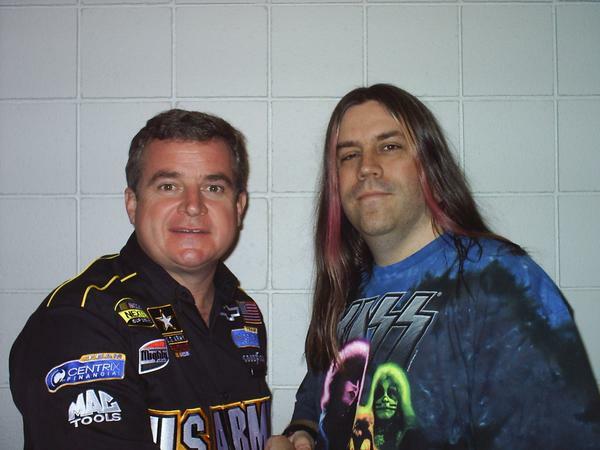 THE LAST VEGAS & Skeeter 2009. 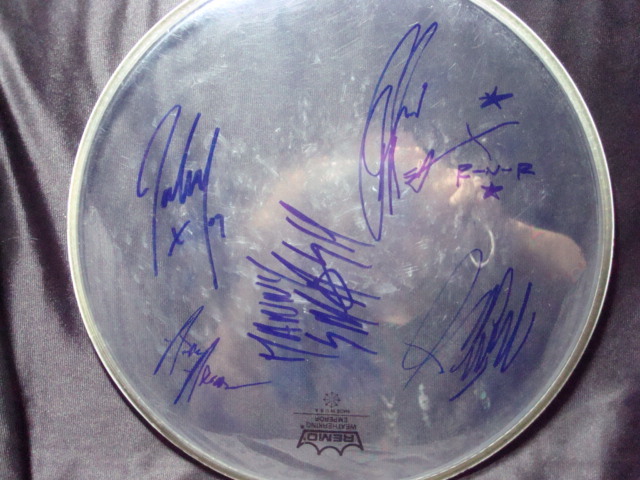 Concert Used clear 12" Remo Drumhead. 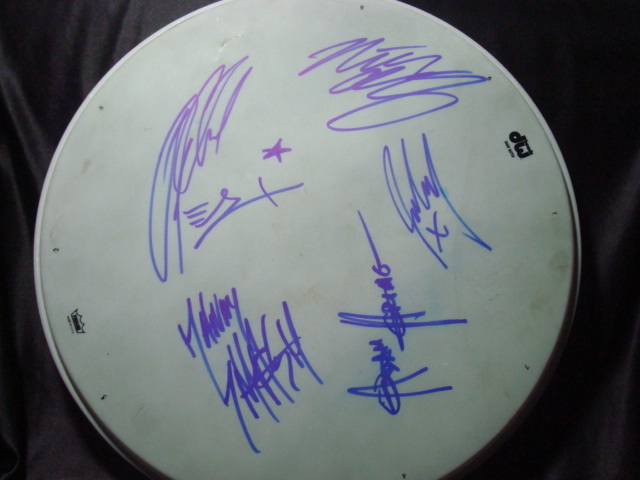 Completely Autographed by the entire 5 members in blue sharpie! From their 2009 Tour. Concert Used white 14" DW Drumhead. Completely Autographed by the entire 5 members in blue sharpie! From their 2009 Tour. 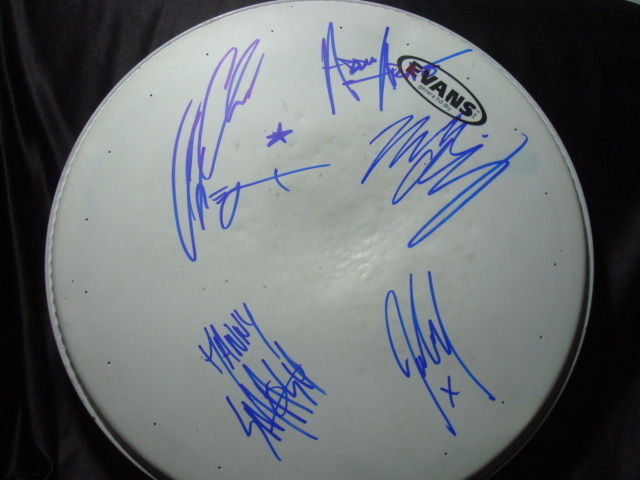 Concert Used white 14" Evans Drumhead. Completely Autographed by the entire 5 members in blue sharpie! From their 2009 Tour. 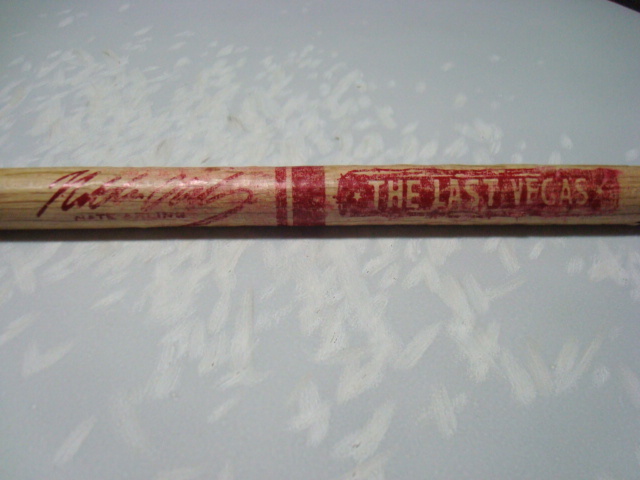 Stage Used Nate Arling OFFICIAL SIGNATURE DRUMSTICK (version #1) from 2010 Tour! 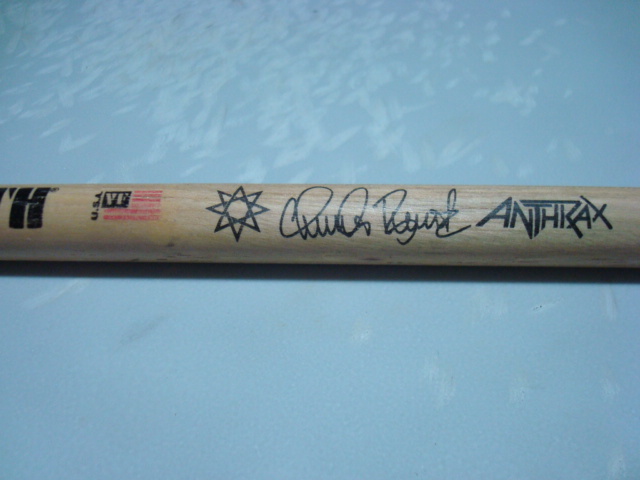 Stick features his signature & the band's logo stamped on it. Pro Mark brand. From their 2010 Flint, MI gig. 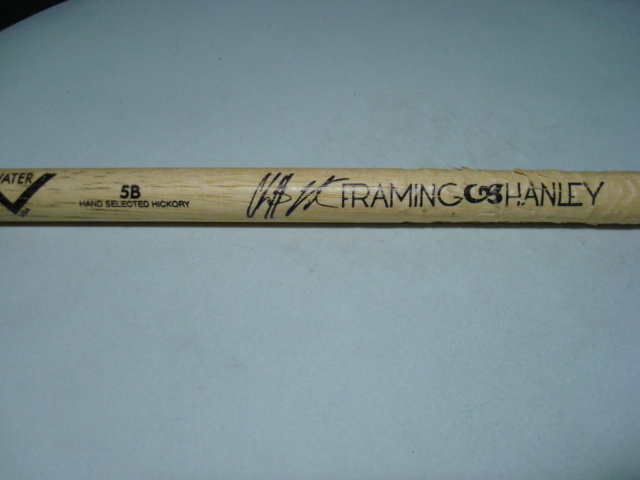 Stage Used Nate Arling OFFICIAL SIGNATURE DRUMSTICK (version #2) from 2010 Tour! 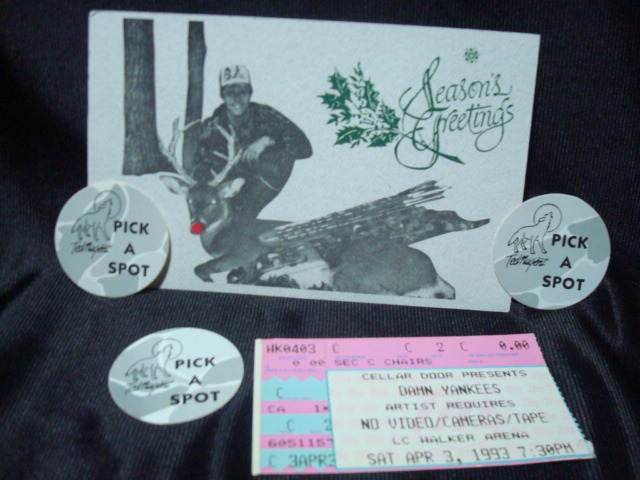 Left over ticket stub from their Muskegon, MI appearance on 4/3/93. Plus a holiday postcard & 3 "pick a spot" stickers. 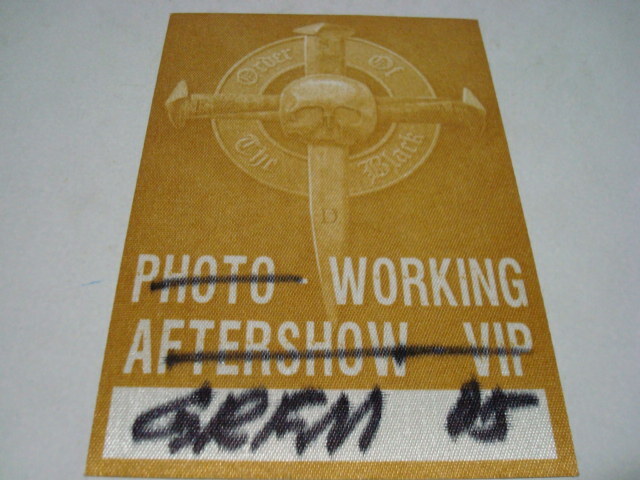 "Meet And Greet" yellow Satin Backstage Pass stick on! 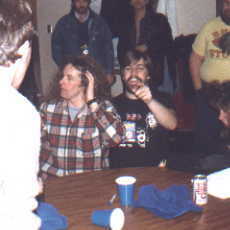 Left over from their Muskegon, MI appearance on 4/3/93. The real thing. 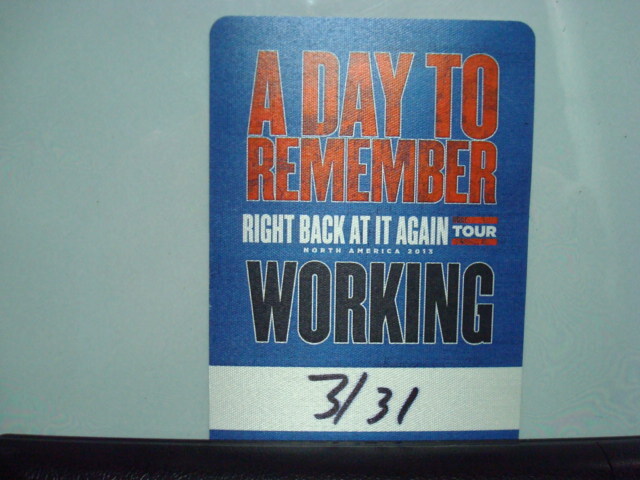 Satin Backstage Pass stick on! 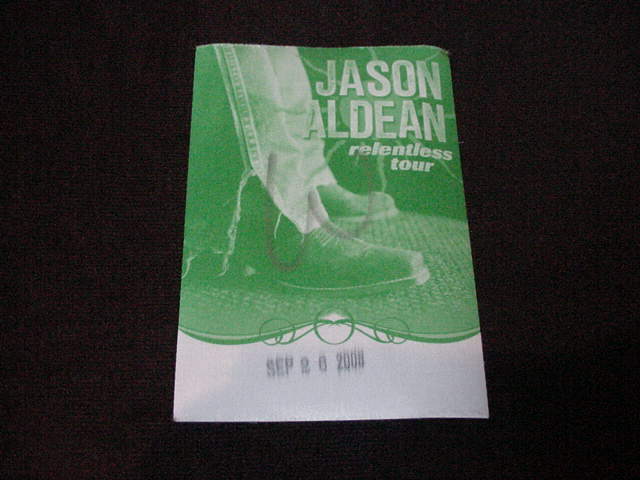 Left over from his Grand Rapids, MI appearance in 2008. The real thing. Never used. 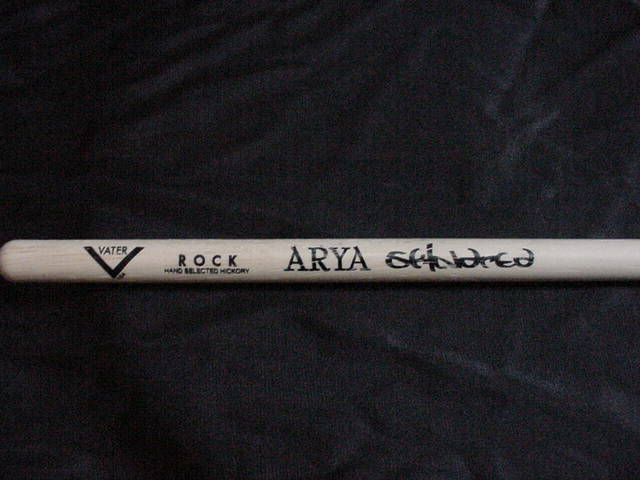 Dirty Arya OFFICIAL SIGNATURE DRUMSTICK from 2007 Tour! Stick features his name & the band's logo. Vater brand. From their 2007 Grand Rapids, MI gig. 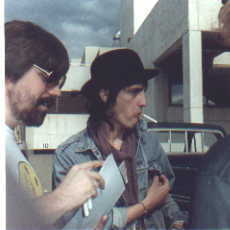 Skeeter with Izzy Stradlin from GUNS N ROSES 5-3-88. 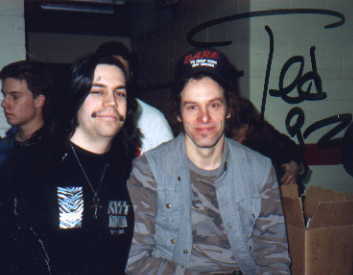 TED NUGENT & Skeeter backstage at Walker Arena, Muskegon, MI 1-11-88. 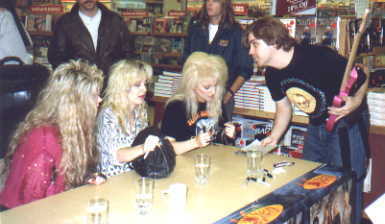 Skeeter & his autographed hot pink guitar, with members of VIXEN 10-7-90. 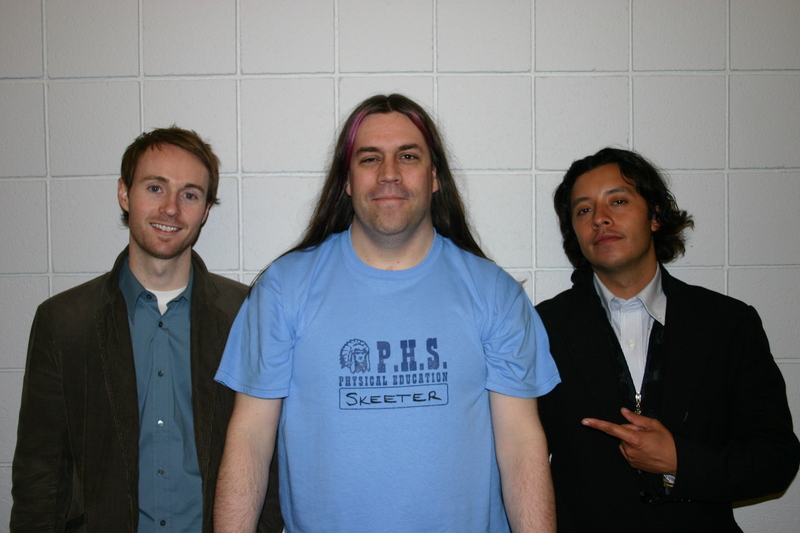 "Kip Dynamite", Skeeter, & "Pedro Sanchez" - 2 actors from the movie NAPOLEON DYNAMITE. 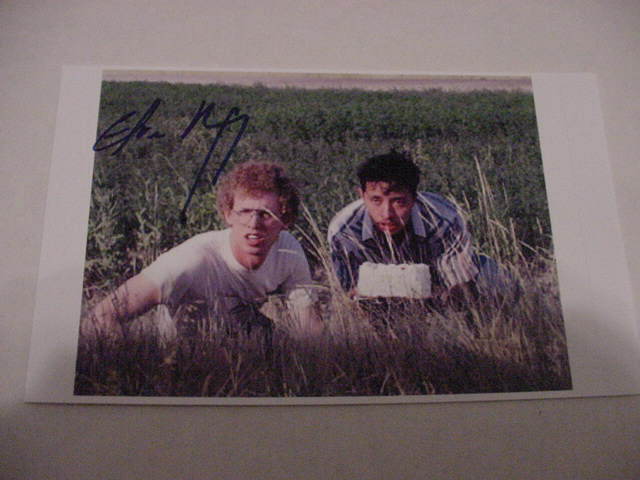 NAPOLEON & KIP DYNAMITE 11"x11" photo - a page taken from a calendar. 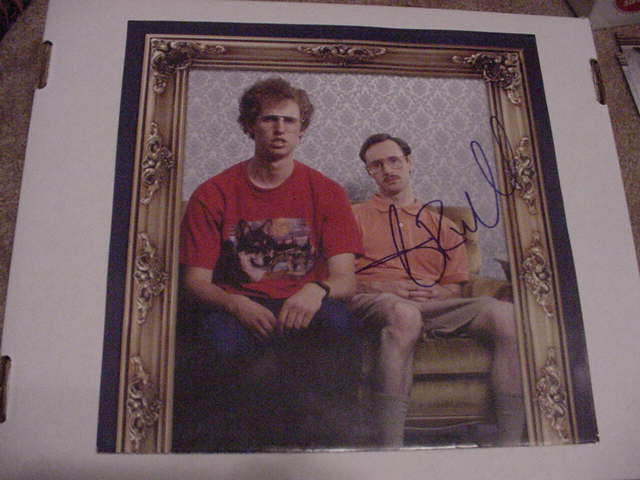 AUTOGRAPHED in person by Aaron Ruell in blue sharpie! This would look GREAT matted & framed! I did it to a few of the photos he signed for me. KIP DYNAMITE 11"x11" photo - a page taken from a calendar. 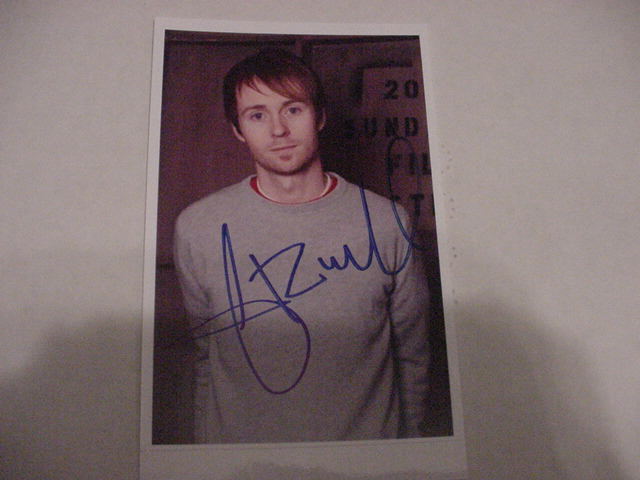 AUTOGRAPHED in person by Aaron Ruell in blue sharpie! This would look GREAT matted & framed! I did it to a few of the photos he signed for me. AARON RUELL 4"x6" photo - printed off the net. 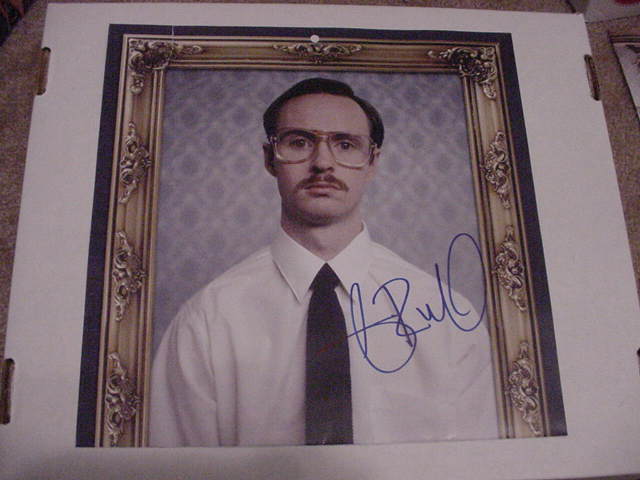 AUTOGRAPHED in person by Aaron Ruell in blue sharpie! NAPOLEON & PEDRO 4"x6" photo - printed off the net. AUTOGRAPHED in person by Efren Ramirez in blue sharpie! 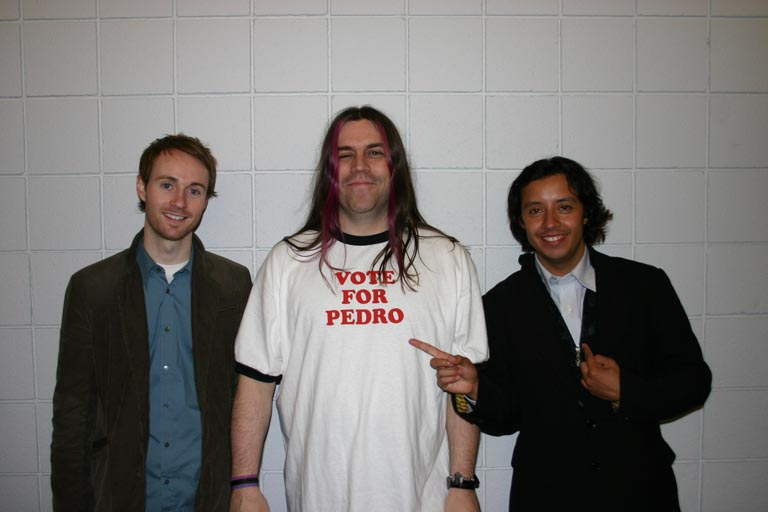 Skeeter & Efren Ramirez - PEDRO from the movie NAPOLEON DYNAMITE.